I couldn’t let November get away without a little tribute to the miracle and blessing that is adoption. November is National Adoption Month and November 9th was World Adoption Day. 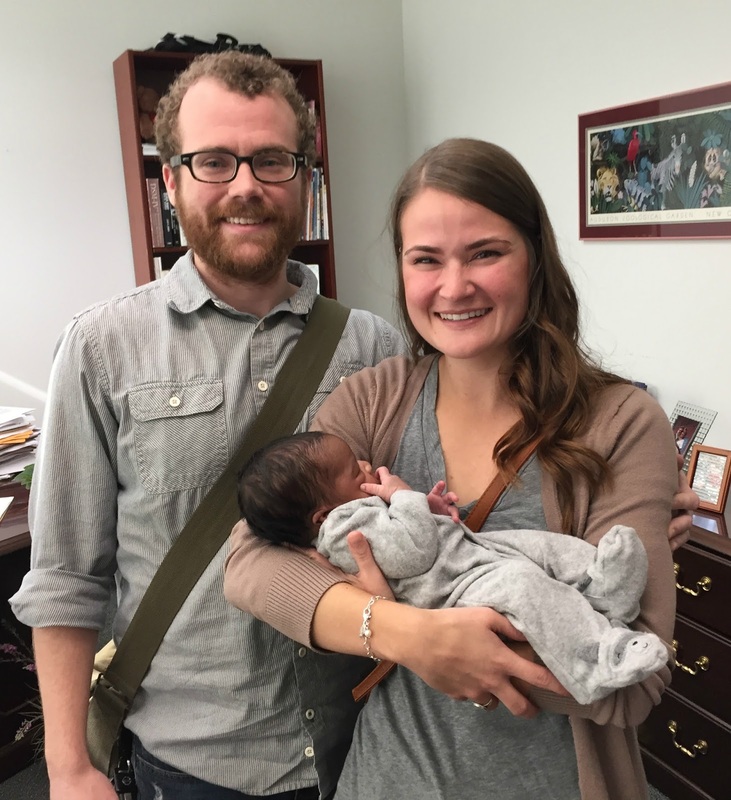 The significance of this recognition of adoption has grown in my heart over time, especially since my dear friend Jessica adopted her sweet little boy a year ago. I think we have a special opportunity to come alongside those who are called to adopt and to do the work with them. They need support and love, and that starts with a better understanding of adoption, from their point of view. So here is a little Q+A we put together, and we hope you will take a moment to hear the heart of an adoptive mom, through the struggles to the other side. What do you wish people knew about the adoption process that they may not know? It is hard. We aren’t just sitting around waiting for a baby or going somewhere to pick one out (yes, people think that). There are HOURS of paperwork. Several home visits and interviews where a caseworker picks your life apart to be sure that you are fit to parent. There are state-mandated trainings, classes, and certifications before we can even have the chance to be selected by a birth mom. We spend HOURS making a perfect profile book to let birth moms know how much we would love the little person they are bringing into the world. I kind of feel like everyone should have to do this even to have a biological child, I mean it really makes you think. By the end of the process you are confident you can parent (or not). Many conversations that I have with people (friends and strangers) the underlying tone from them is that our adoption process was easier that their labor. Adoption is labor – hard work – just not a physical labor. It is a labor of the heart, emotions, and mind. What do you feel is the most common misconception about adoption? Not everyone who adopts is doing so because of fertility problems. To be honest, there is a high chance that Luke and I could have had a biological child with the help of science. We felt called to parent. We felt called to adoption. Some people are called, not “forced.” I think some people assume “adoption was your second choice” or “you would have had biological children if you could.” That is surely true for some, but not for all. How can we best support mamas (and families) going through the process? Pray for them and let them know that you are doing so. Be upfront that you don’t understand the process or are not educated on adoption. Don’t pretend to know and understand if you don’t actually know and understand. Be a listening ear, maybe even a shoulder to cry on, but you don’t need to pretend to understand. Treat them as you would any other family that is expecting. Throw the baby showers, take meals after baby comes home, check on them to see how they are doing. For me, I had a hard time when I was setting up a nursery. MANY people treated it as if we didn’t need new things or like it was silly to put energy into getting the perfect crib or artwork for the wall. They may not have meant it this way, but the way it came off was “you are getting someone else baby, the baby can use someone else’s stuff.” Don’t get me wrong, I was open to borrowing and using hand-me-downs, I’m talking about the “nesting” that happens for pregnant women. It happens for us adoptive moms too! As you walked through the waiting period of the adoption, what was the most comforting thing to hear? least comforting? Most comforting: success stories of other adoptive families. If you want to know more about someone’s adoption story, what’s the best way to initiate that dialogue? I would say to be open and honest about where you are coming from personally like, “I don’t know much about adoption, but I am interested to know more,” or “How can I pray for you?” It always made me feel better when people lead with where they were personally on the topic. For example, several times I had people say “did you know I was adopted?” When I answered “no” they would tell me their story. Then I felt comfortable sharing mine. What were your biggest obstacles and fears as you waited on David to come home? That he would be taken away. That his birth mom would change her mind, that his birth father would appear and take him, or that the legal system would fail us (our state laws protect birth parents well, but don’t protect adoptive families until finalization). How did you pray through the waiting period? How can people best pray for adoptive families? We prayed for the child that God would have us to parent, not just a child. We prayed that our hearts would release fears and worries into the hands of the One who is ultimately in control. Tell us about the day you got the call (or email) that you were chosen by his birth mom. Next, we got a call that she had chosen us and wanted to meet us. We were thrilled and nervous. What if she didn’t like us? What if she decided not to pick us after meeting us? What if we said the wrong thing? Funny thing is, when we met her she had the same fears. What’s the one thing you wish you had known from the first day you began pursuing adoption? I wish I had known how intense and unfair the legal system can be for adoptive families. I wish I had believed how quickly a baby can come home (I just assumed it would be years, but it took months). I wish I had believed that it was all in God’s timing. Like I said, I knew those things but I don’t think that I believed them. 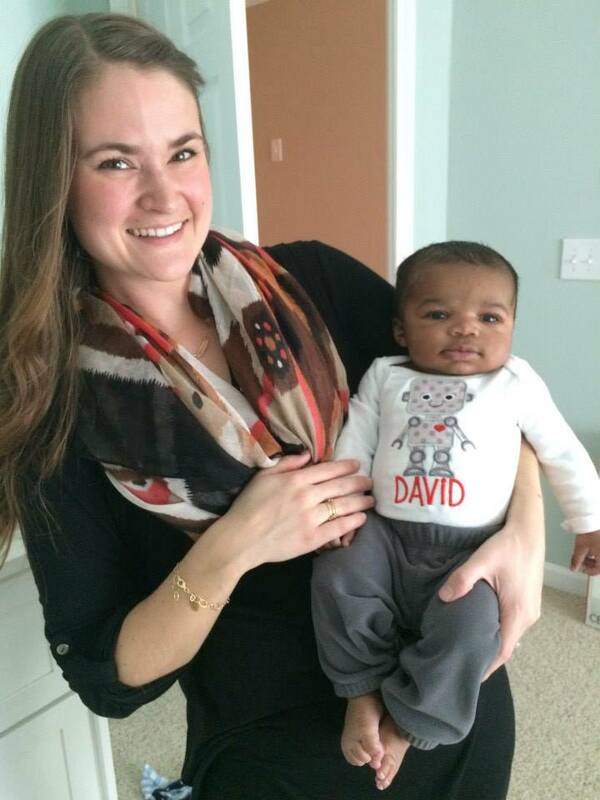 Tell us a little about David and how he has changed your life. Oh. My. Goodness. He is seriously the best. A part of me believes that God gives a little extra grace to babies born into the chaotic scene that is adoption. He transitioned into our family seamlessly. He is sweet, funny, spirited, and wild! My eyes have been opened to the understanding that genetics don’t make a family. Finally, what encouragement would you give to someone who is reading this and is considering adoption? 1) Try not to let the money scare you. That seems to be the biggest barrier for people. God has a way of getting that part done. There are a ton of resources to be used to raise money! 2) It is worth it. The pain, the stress, the money, the time – it’s worth it. You won’t regret it. When I was struggling with the thought of never being able to be a mom, a friend told me “Jessica, remember you WILL be a parent someday.” There were times I would literally say that to myself. Adoption was the way we felt God wanted to build our family. I look back now and can’t imagine what our life would be like if we had not chosen to respond to the gentle nudge from the Holy Spirit into the journey of adoption. She’s right – genetics don’t build families, love does. Jessica, I am so grateful for your willingness and openness in letting us walk through your journey with you, even in this small way. I thank God for your friendship and for the gift of motherhood that has come into your life! One of the best opportunities we have in aiding adoptive families is through funding. If you would like to learn more, visit adopttogether.org. **Are you an adoptive mom or on your way to becoming one? I would love to hear your heart on these questions and gain even more insight into the world of adoption. Leave a comment below!